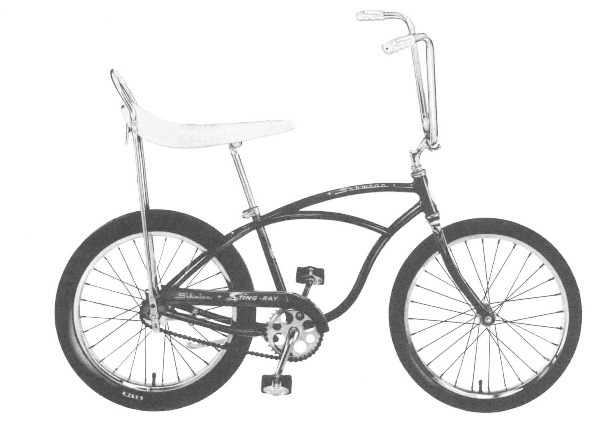 When it comes to BMX, nobody sells a better bicycle than Schwinn, because nobody designs a better bicycles than Schwinn. All of the new Schwinns feature innovative engineering concepts that allow us to design BMX bikes with strength, durability, styling and performance fron the ground up. You can see, feel and touch this quality by design in every BMX machine in the Schwinn line. Fast, responsive and tough, each represents the best dollar for dollar value in its class. Designing this king of performance and value into a bicycle is no accident. It's the result of thousands of hours of research, testing and retinement, both on the track and off. Racing Experience for '86, Predator racing machines combine over 10 years of racing experience into a dynamite line-up of high-tech, high-spec models. That includes the all new Predator Quaterflash and the featherweight tweenty three pound Predator Black Shadow, with its patented tri-oval, tri-caliber tubing and tubular cro-moly Sugino crank. Recently qouted in BMX Action, "Seriously, Schwinn fans, once you look at the Black Shadow's very reasonable price tag, scope its qualness and give it a test ride, you'll have to retrieve your jaw from the floor. Stylin' performed by Schwinn's professional Freestyle Rider Ron Wilton, who is specially trained and safety equipped to perform these advanced stunts. These stunts should not be attempted without proper t raining, safety equipment and adult supervision. Always wear a protective helmet, gloves and padded clothing when riding your BMX bicycle. The '86 Predator Freestyle bikes are the most advanced dancing machines we've ever designed. The Predator Free Form EX, with its state-of-the-art-free-style componentry, including the all new ACS Rotor Stem mechanism that allows you to endlessly rotate the handlebars 360 degrees, is the ultimate in what a freestyle bike should be. BMX Plus Magazine put it this way. "The best production freestyle we've ever set our buns." If you're ready to dominate your neighborhood, come in and check out the Free-Form EX, the all new Free-Form Z or the popular Free-Form BG. We think you'll agree, it's the best line-up of quality freestyle bikes between $135.00 and $220.00" on the market today! You won't believe your eyes. Every Predator street series machine has the look and feel of the track. Predator's world class quality, performance and styling are all here, at an affordable price. They're fully equipped, ready to take on the toughest berms or meanest streets around. Prefator's they're "Streetwise", BMX riding covers a lot of turf. Whether you're into racing, freestyling, or just cruisin' arount the block, Schwinn has the bike that's custom tallord to your needs. And remember, every Schwinn Predator bicycle is covered by the Schwinn 5-Point Protection Plan and the Schwinn No-Time-Limit Warranty, all backed up by a nationwide network of Authorized Schwinn Dealers. They are all proud to offert the entire line of state-of-the-art, track tested, race proved Schwinn Predator BMX bicycles. Frame fork - Schwinn 4130 chrome moly freestyle design. Handlebar - Schwinn freestyle design chrome plated. Stem - ACS with modification and rear mechanism. Brakes - Dia Compe FS830 front, 750 center pull rear, with tech IV. The ultimate pro racing machine. Fram Fork Patented Schwinn 4130 chrome moly tri oval, tubing, tapperred designed chrome moly. Handlebar - Schwinn designed T bar chrome moly. Stem - SunTour power stem MS1300 with chrome moly stad and Predator logo. Brakes - Dia Compe MX90, tech V lever and catle casing. Crank - Sugino OPC CMP tubular chrome moly crank. Sprocket and Sugino ABH alloy spider. Freewheel - SunTour chrome moly 16T. Pedals - Beat type with chrome moly. Racing weight - 23 lbs. Color finish - Black chrome with black trem. Fram Fork - Schwinn designed 4130 chrome moly metro designs chrome moly. Handlebar - Schwinn designed T Rise 7 1/2" Width 27". Stem - SR MS 424 head and chrome moly. Brakes - Dia Compe MX900, front and rear. Tech IV lever, cable casing. Crank - Sugino 6 1/2" treated chrome moly W43F alloy sprocket and BMX 4 alloy spider. Racing weight - 24 lbs. Frame / Fork - Schwinn 4130 oval chrome moly, design chrome moly. Handlebar - Schwinn designed "T" bar. Rise 7 1/2", Width 27"
Stem - SR MS 424 alloy head and chrome moly. Brakes - Dia Compe MX 900 front and rear. Tech IV lever, tuned cable casing. Pedals - SH SP516C platform chrome moly. Rims / hubs - CMX - 7X type steel / SF steel. Color finish - Black chrome with silver trim chrome plated with blue trim. Frame / Fork - Schwinn designed tri moly 1 1/2" x 1 3/4" top and down tuber with ten steel. Handlebar - Schwinn designed "T" bar. Rise: 7 1/2" Width: 27". Stem - SR MS 424 chrome moly. Crank - Sugino 6 1/2" cold forged with 437 sprocket BMX4 steel spider. Handlebar - Schwinn designed "T" bar. Rise: 1 1/2" Width: 27". Stem - SR MS424 with alloy head and chrome moly. Crank - Sugino 6 1/2" and forged with 43T sprocket and BMX4 steel spider. Color finish - Chrome with blur trim, melloy yellow with blue trim. Future star on the rise. Frame / Fork - New low profile to tensile steel to steel. Handlebar - Schwinn designed "T" bar Rise: 4" Width: 23". Stem - SR MS422P with alloy head and chrome moly shaft. Crank - Sugino 4 1/2" cold forged with 40T steel sprocket. Pedals - Plastic platform with chrome moly. Saddle - Viscount more dyne. Seat Post/Clamp - Steel, chrome plated, steel. Color - blue and red. Handlebar - Schwinn designed steel rise, 5". Stem - double clamp, chrome plated. Crank - Sugino 4 1/2" cold forged with 36T steel sprocket. Pedals - Rubber black with chrome moly axle. Seat Post/Clamp - Chrome steel. Color - red and mattle black.